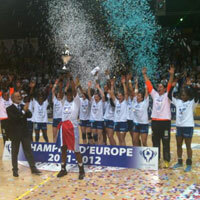 12.05.2012 - Home side lose second leg, but nine-goal lead going into match was enough to receive the trophy from EHF Vice-President Jean Brihault. 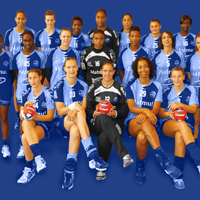 12.05.2012 - With a nine-goal margin to their credit, HAC will go into the second leg of the EHF Women's Challenge Cup Final as favourites. 10.05.2012 - H.A.C. 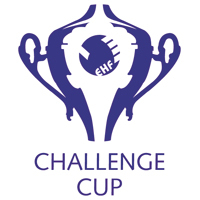 Handball are close to winning the EHF Women's Challenge Cup. 08.05.2012 - H.A.C. Handball dominates Muratpasa in an away duel.